New York, New York: Where Should I Go? What Would You Do? The problem with going to NYC, there’s always so much to do!!! I am so excited to head out to the Big Apple this week. The last few times I’ve been out there has been for Fashion week. Unfortunately, I won’t be able to go this season. So, thanks to Haagen Daz and their 50 summer moments campaign I will be able to go this weekend and explore the city that is every fashion girls playground. I haven’t really had a chance to figure out what I want to do while I am there. I don’t really know where to look. I did figure out that I might want to stop by the MOMA to see the Prada Conversation exhibition or I might want to head over the bridge for the Brooklyn Flea Market. These ideas are all maybe’s at this point. That’s why I am writing this blog post. I need a little help. If you’re from New York, where would you recommend going? 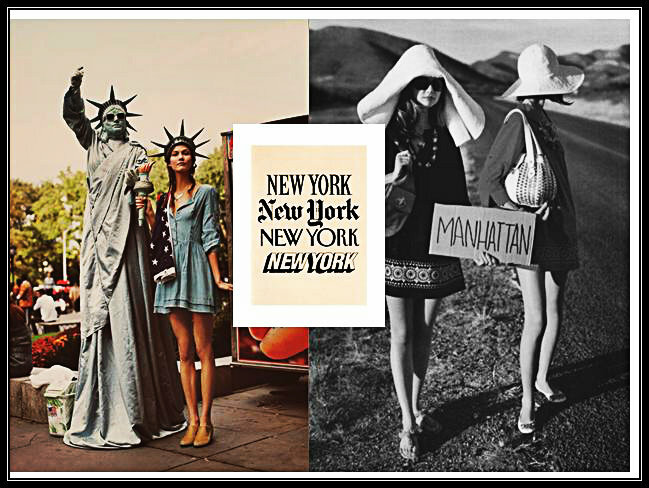 If you were to go to New York, where would you want to go? Update: Thank you for all of your recommendations on twitter. I have a tentative idea of what I am doing, its just so hard to narrow it down. The Brooklyn Flea is awesome! And don't miss compost cookies and soft serve at Momofuku Milk Bar. I know you won't forget to stock up at Uniqlo!